A high output set of single coils with a muscular ‘P90-esque’ tone deep, resonant bass, wide mid range response and a totally modern voice. 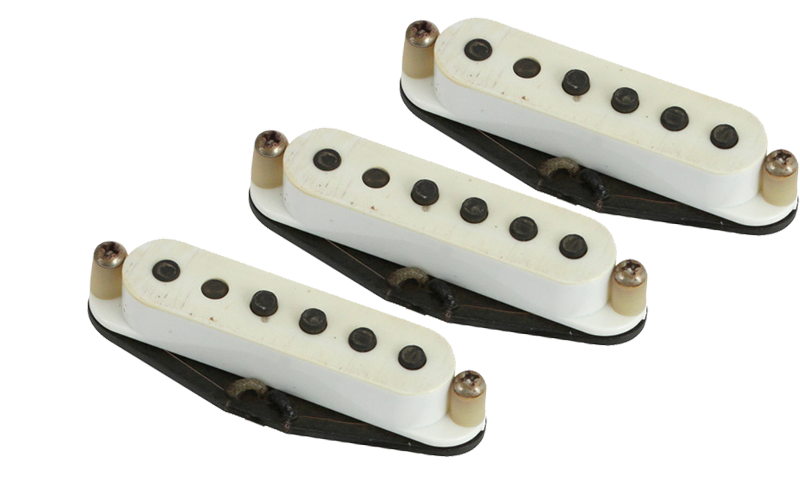 Trilogy Suite single coils are designed for players who want anything but a vintage tone. 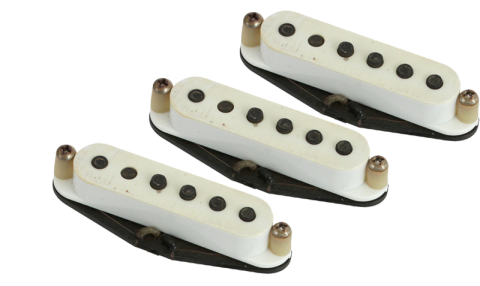 All the character and extended frequency response of a true single coil partnered with a hot wind of modern polysol wire and Alnico V rods produce a high output Strat set with real contemporary character. A slightly more compressed dynamic means single notes have incredible sustain and when used with an overdriven amp create a rich, saturated tone with big harmonic overtones. The highs remain full and clear no matter how much preamp gain is applied while low notes are defined and focused. Back off the overdrive and the Trilogy Suite set clean up perfectly and judicious use of the volume pot accesses a huge range of modern clean tones.